How to Wear Cropped Jeans When You're Under 5'2"
Cropped jeans have become 2017’s biggest denim trend—and my greatest sartorial nightmare as a woman under 5’2”. What makes for a flattering ankle-length flare for taller women is mostly lost on my petite frame. Yet if there’s one thing I know about myself, it’s that I’m always up for a challenge, and mastering the art of cropped jeans is one I’m currently ready to face. Armed with the right tips and tricks, petite women can take on this denim trend too. To help, I tapped Jenny Wang, founder of The Petite Studio, for her expert tips on pulling off cropped pants. Instead of ruling out styles that aren’t specifically petite, says Wang, “Get creative!” Many pairs can be rolled up or cut for a cool, edgy look. She suggests finding an expert tailor who can help achieve a length that doesn’t overpower a smaller frame. Getting the right length, Wang adds, “can make legs look longer.” She also suggests wearing your denim with boots that hit the thinnest part of the ankle. 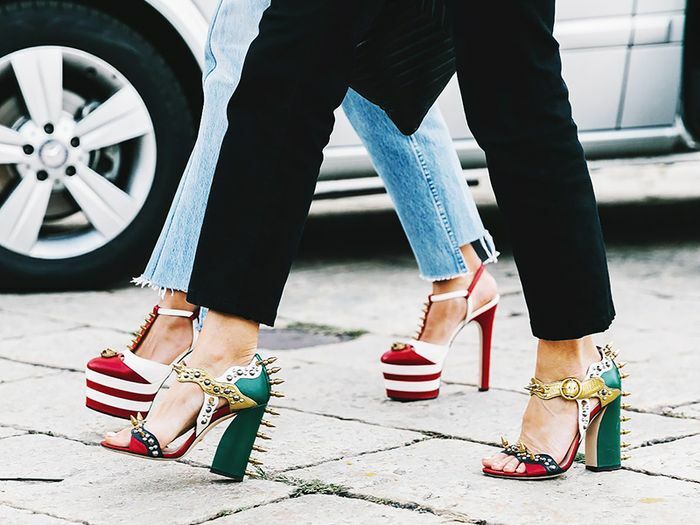 Turns out, while this denim trend may seem intimidating for those of us with shorter stature, women of all heights can pull it off. Read on for the cropped jeans women under 5’2” should give a chance to. A rolled-up hem detail makes each cropped length individualized to the wearer. The straight-leg paired with a pointed toe instantly adds height. A medium wash can take you from day to night. The light ombré gives these jeans a relaxed feel. Tuck in a loose-fitting top to raise the waistline. The high waist gives the illusion of longer legs. A wide-leg style in a darker wash is a more sophisticated option that won't read "childish" at work. The asymmetrical hem adds visual interest and will elongate the legs. 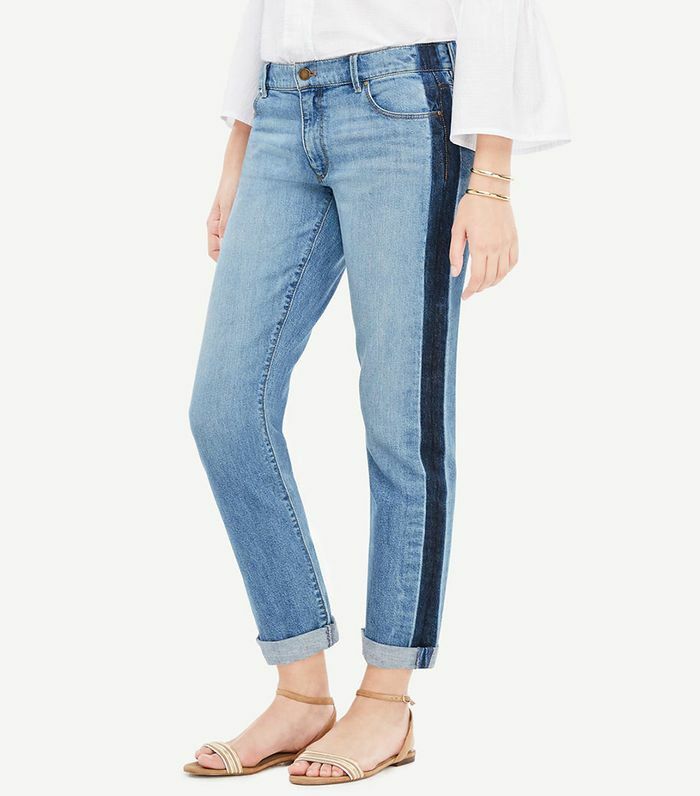 These dual-tone jeans are great to look at. Cropped jeans are the petite choice for styling with sneakers, as the peek of ankle doesn't truncate the leg. Raw-edge hems are nothing new to petite girls, but this pair gets the wide-leg version just right. Pair your jeans with kitten heels for a bit of height or flats for a casual look. This all-purpose pair hits all the right notes. When trying on jeans, look for a style that hits right above the ankle. The distressed hem gives these jeans a shorter inseam than other cropped pairs, which works perfectly for all types of petite woman. This super-cropped pair works for all women, whether it hits below the knee or just above the ankle. Struggling to find the perfect pair of jeans? Check out the essential styles for every petite woman.